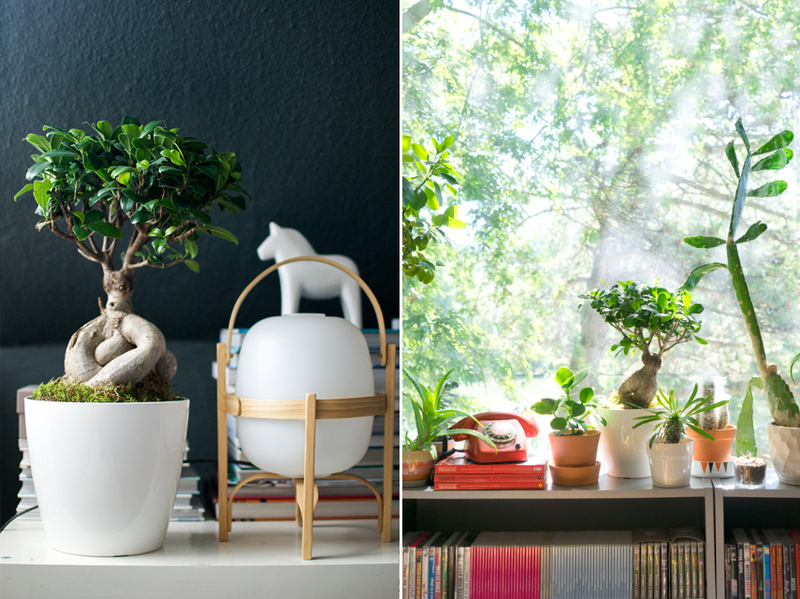 Hello July, hello new ‘Plant of the Month’: Please welcome the beautiful Ficus Ginseng in our homes! 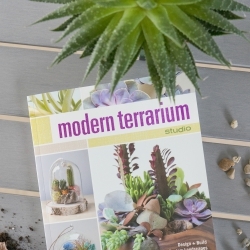 During our London weekend we were happy to collaborate with our friends from The Joy of Plants and offer 10 ‘Plants of the Month’ to 10 lucky winners and attendees of our Blogtacular presentation. And they and us were lucky to bring back a rare and beautiful bonsai plant native to Asia: the Ficus Ginseng or Ficus microcarpa. This houseplant is a true eye-catcher: The rough-shaped, aerial root is crowned by a bushy treetop of shiny green leaves that sprout incessantly if the plant is looked after. And that is the other advantage of the Ficus Ginseng: It not only looks beautiful and interesting, it is also a great plant for anyone who wants a low-maintenance plant. 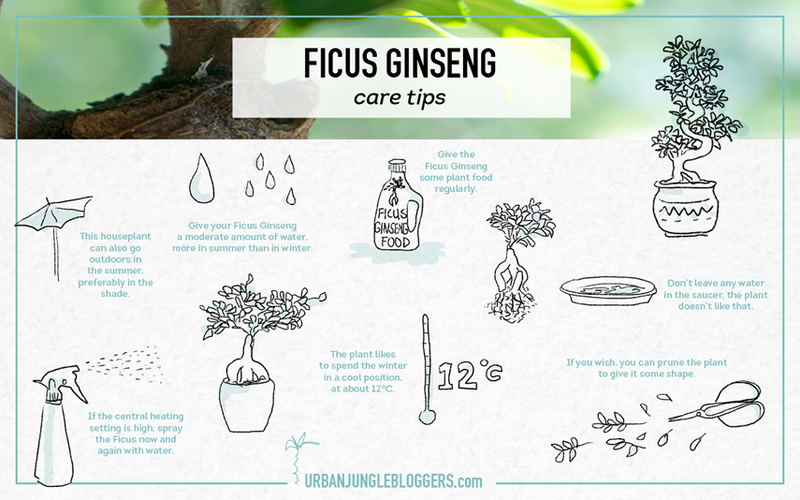 The ideal plant care for the Ficus Ginseng consists of moderate watering without any stocked up water in the saucer, regular plant food additions and it can go outdoors during summer and likes a cool indoors place during winter. That’s all to it! A fascinating fact about the Ficus Ginseng is that the roots are grown in China and Malaysia for up to 15 years (!!) before they get imported by Dutch growers and then the bonsai growing process is completed in greenhouses. 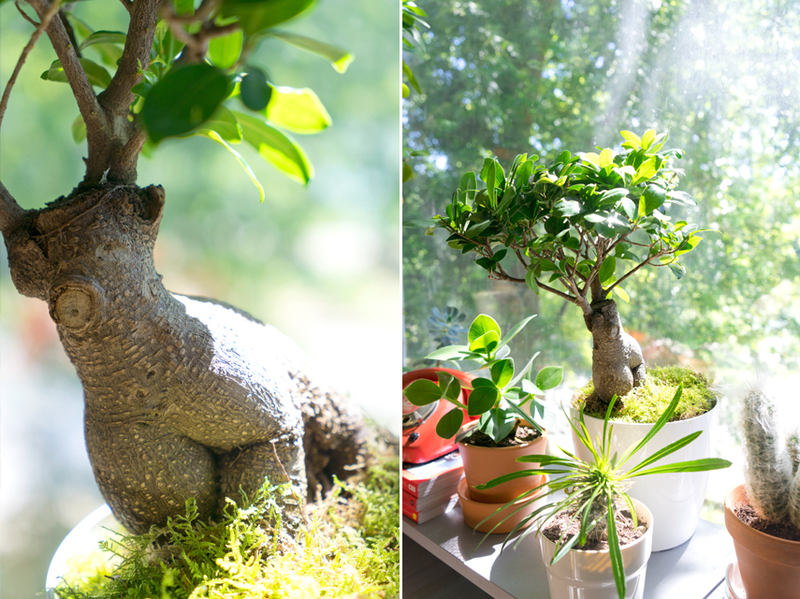 So every Ficus Ginseng in our homes is a pretty mature plants with a good deal of history and travels. A real globetrotter if you want so! 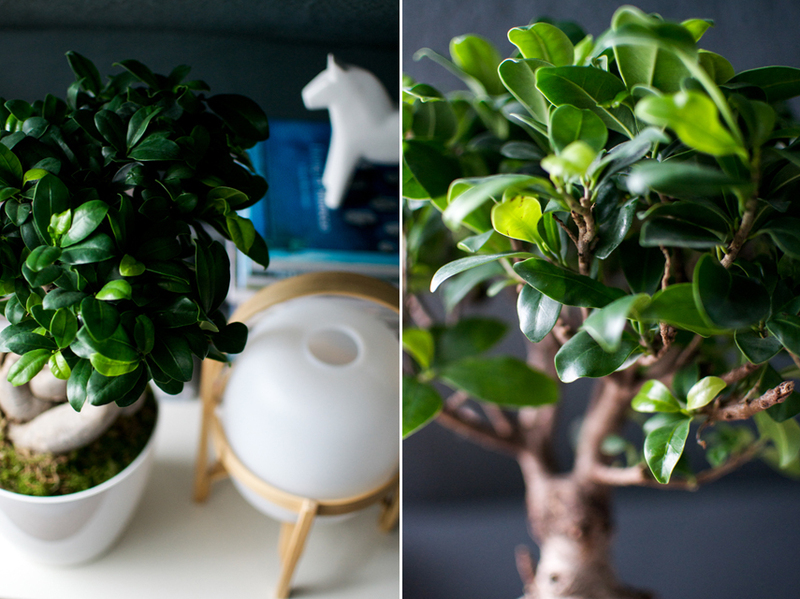 We are both smitten with the addition of this bonsai plant in our homes in Paris and Munich and we hope that all 10 lucky winners are as happy with their Ficus Ginseng as we are! Happy July everybody! This post has been brought to you in collaboration with The Joy of Plants. Thank you!